Running a fishing lodge can be a complex thing. There are so many variables to take into account, without doubt, the weather has a significant impact on the trout fishery and therefore the fishing. In our early season the weather cooperated brilliantly. November & December saw clear rivers, sunny days and little wind. The results speak for themselves……. Andrew from Sydney’s first trip to ORL was for his honeymoon in 2010. He’s subsequently stayed with us a further 3 times including a quick 4 day trip in early November. He landed 11 wild brown’s in his 3 days fishing including a sensational 11 lb monster and 2 x 8lb, 2 x 6lb 3 x 5lb and a 4lb wild brown ! 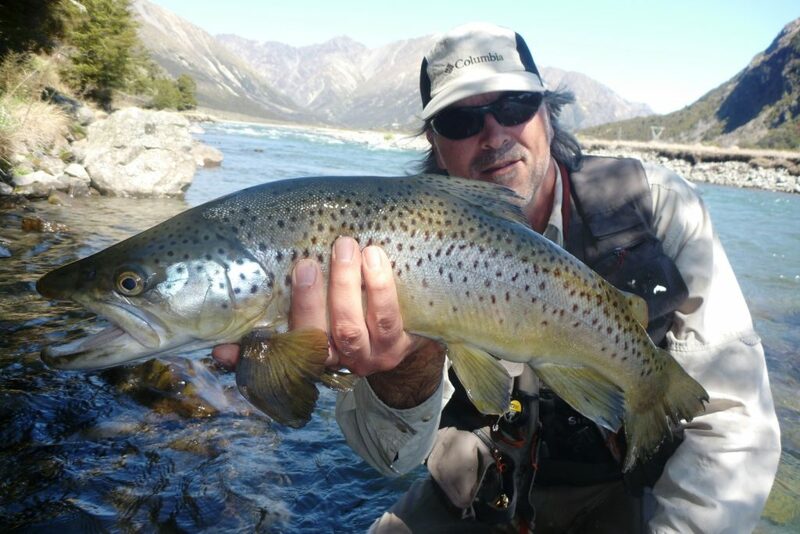 In early December, 3 anglers landed 3 wild New Zealand browns and each of them set apersonal record. The 3 browns weighed in at 9lb, 12 lb and new lodge record of 14lb. There was no expensive helicopter required, as all these browns were caught in our local, drive to rivers! To be honest during our summer (January > March) the weather was rubbish. It was unusually windy and wet. 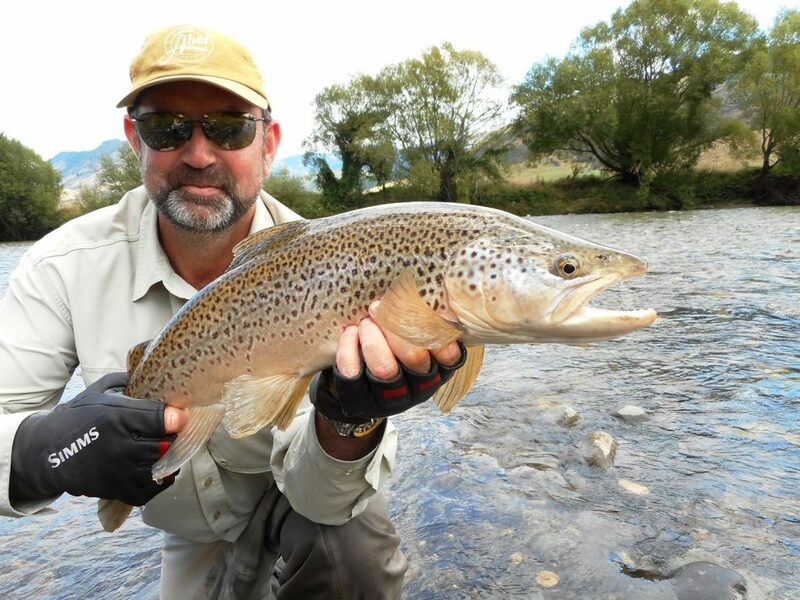 This made the fishing, at times, challenging, however with the help of the wonderful fishing guides that work with us our guests still caught fish and had some memorable moments on the river. Vaughan and Bess are regular Australian guests @ Owen River Lodge. 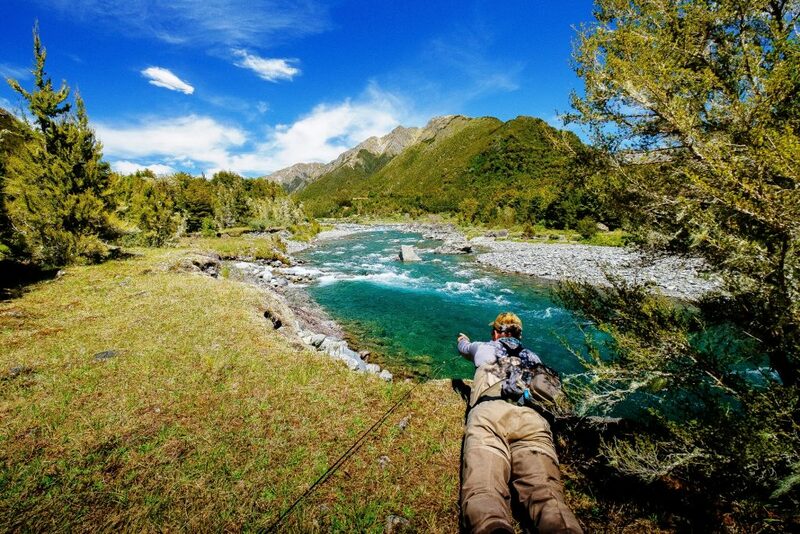 Whilst Bess went horse riding, Vaughan had some sensational fishing over 4 days of angling adventure. In a 2 day period he landed over 25 wild browns in the 3 > 5 lb range ! 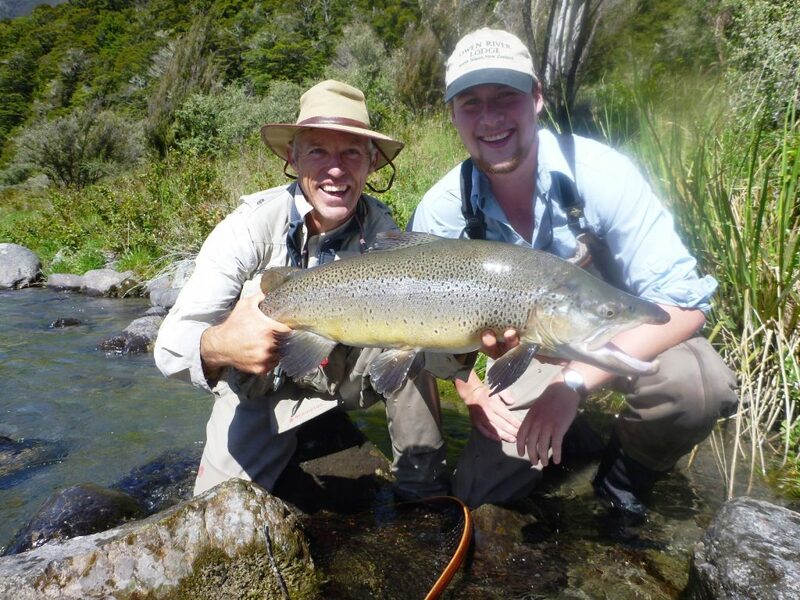 Howard, one of our most regular guests, had four sensational days fishing with his guide David in late March. In his 4 days fishing he landed 24 wild browns including an 8lb & a 9lb caught on consecutive days in the Owen River !